Do You Need To Sell Your House Fast? 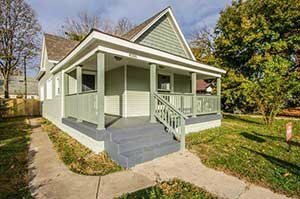 We buy houses Indianapolis. You Found Us! We Buy Houses For Cash In Indianapolis, Indiana And Surrounding Cities At Any Price And Any Condition. Our Process Is Easy. You Will Get An Honest And Fair Offer For Your House. We buy houses Indianapolis for cash and we’re ready to hand you a fair all-cash offer. We have funds ready to purchase more houses. Tired of putting up with the hassle of owning a house you don’t want or can’t afford? Do you wish you could skip the time consuming process of waiting months for a real estate agent to find a buyer? We can help. We buy houses directly from homeowners. Call us at (317) 731-2540 and we’ll explain how we can help you and your specific situation. When you need to sell your Indiana house and get fast cash, choose Ittenbach Capital!